This has been a week. 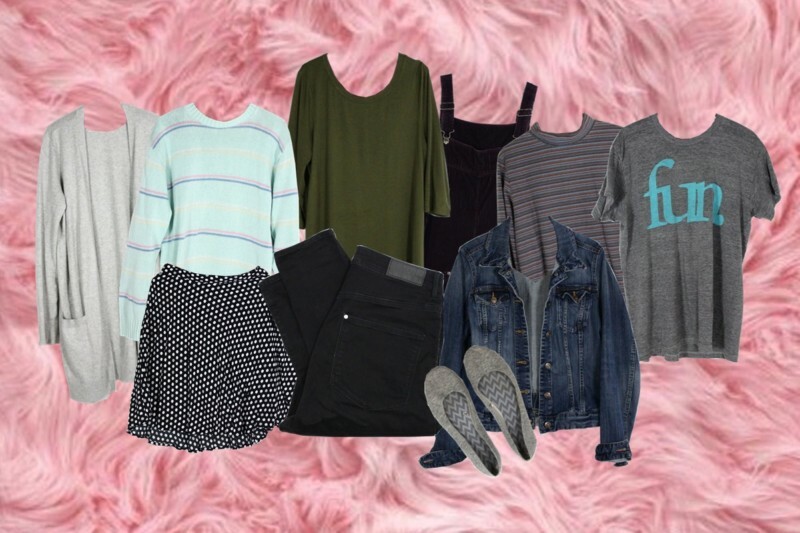 To catch you up, I completed a capsule wardrobe challenge in which I wore 10 articles of clothing in 7 days and each outfit was randomly assigned to me by a closet app called FashionYou. It was a whirlwind, to say the least. The purpose of this challenge was to share outfit inspiration with you, especially if you’re working with a limited wardrobe due to a vacation or the like. But for me, this was more of a personal challenge because I’ve spent the last 4 months adjusting to life with constant fatigue so anywhere I can take a shortcut in life (ie have an app plan my outfits for a week) is a very welcome thing! What I didn’t plan for was not being able to shoot the photos beforehand so every post was shot & written the day it went live. That’s not my normal blogging routine and it was especially an ambitious schedule for 7 days straight – even if I wasn’t taking 2 hour naps everyday! I couldn’t have made it through without the new addition of my indoor photo set-up. It’s been a dream to be able to take photos indoors (especially in the winter) and that’s finally a reality. A HUGE thank you to my Patreon donors for making that possible! Despite everything, I’m really proud of this challenge and the outfits. If they gave you even a few ideas of how to mix & match your clothes then I’ve done my job! The week started off strong with this very purple-y outfit inspired by Prince. Social media fell in love with this colorful combo and so did I! I still have my doubts about this youthful outfit but you can’t say I didn’t commit to the challenge! It’s funny seeing this moody mix among the round-up because it’s completely different from the rest. It’s amazing what a few accessories and a dark lipstick can do! 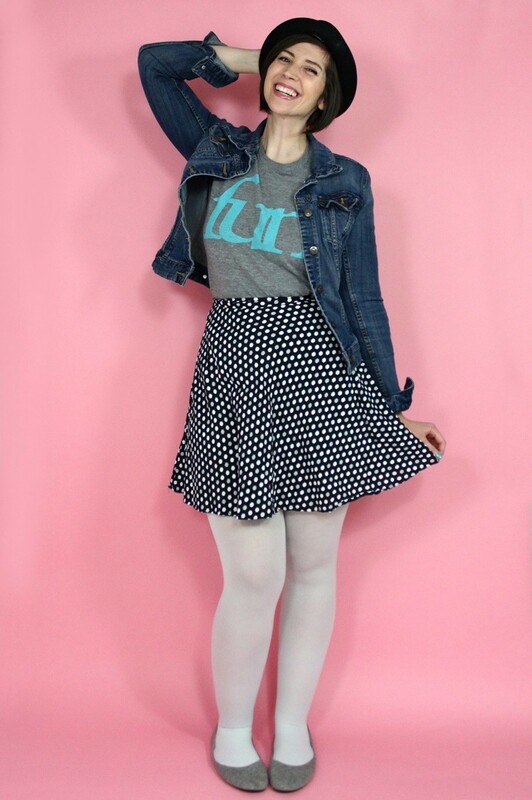 I already called this cute combo as my favorite from the week and I’m sticking with it! And last but not least is this girl scout troop member gone rogue. I didn’t expect to like this pattern smashing so much but it’s growing on me! I had a lot of fun with this challenge and I hope you enjoyed it as much as I did! Definitely leave me a comment on social media letting me know what your favorite outfit of the week was. I’d love to hear about it! 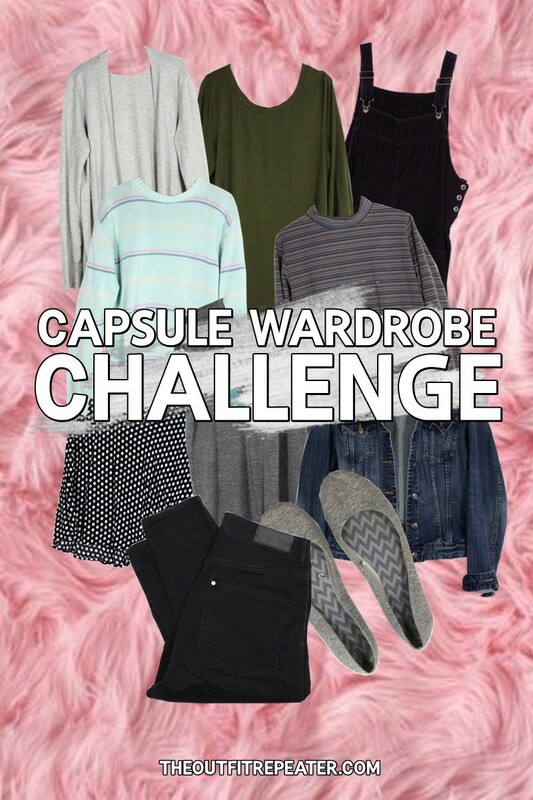 If you’re interested in trying a capsule wardrobe challenge for yourself, go ahead and Pin this post or bookmark this page for future reference.